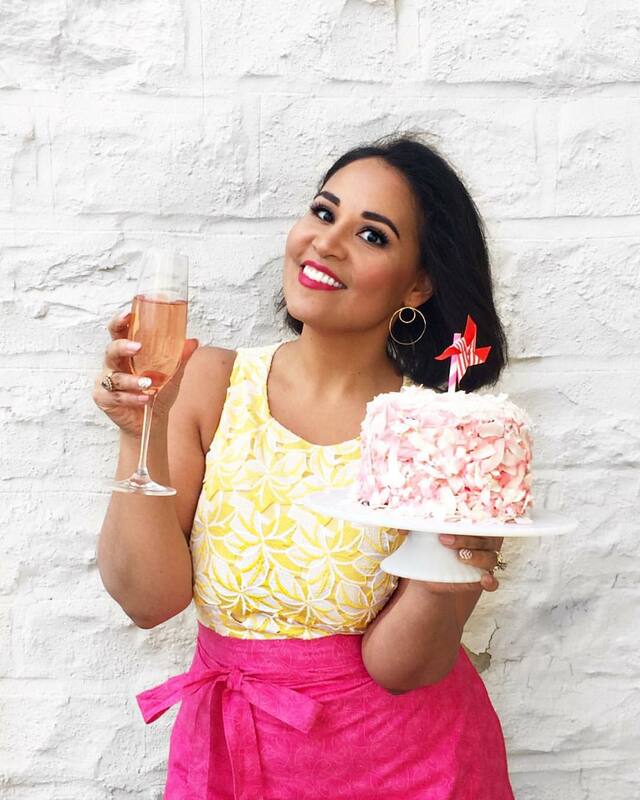 Let's talk pasta! Last month, I visited Chicago for the first time. It was a quick trip--actually quicker than I initially anticipated (thanks, stormy weather!) 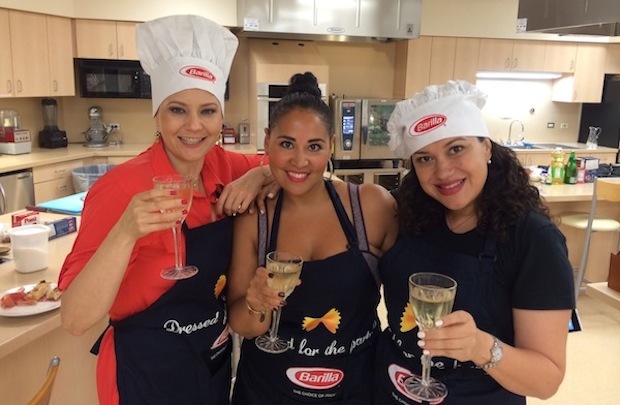 --but it was still an awesome trip because I got to visit the headquarters of Barilla, with whom I'm partnering this fall to create easy pasta recipes with a Latin twist. It's kind of a perfect project for me since pasta has always been an important part of my food life for as long as I can remember. Growing up in a predominantly Italian New Jersey town just 20 minutes outside of New York City, dinners out usually meant Italian--from the local casual red sauce spots to the more elegant restaurants across the bridge, we ate pasta just as often (if not more!) than we ate Puerto Rican food. 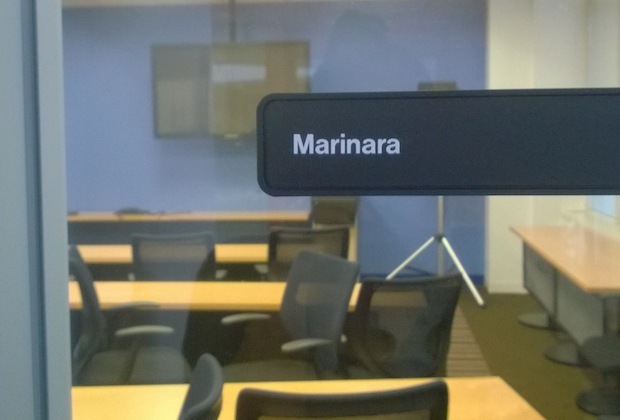 The conference rooms at Barilla all have pasta-related names! In fact, whenever my mom needed a quick meal that satisfied all of us without complaint, she almost always reached for one of the pasta boxes she kept stocked in the pantry, turning out recipes that combined those traditional pasta shapes with the Latin flavors and ingredients she grew up with. A regular at dinnertime was something she called "Puerto Rican Spaghetti," which was (let's be honest here) really just normal spaghetti with a few Latin spices tossed in, but which kind of exemplified the beauty of the immigrant experience in the US--bringing together different cultural traditions to create something new (and delicious!). My love for Italian food was also one of the main reasons I moved to Florence when I was 21 to attend culinary school. 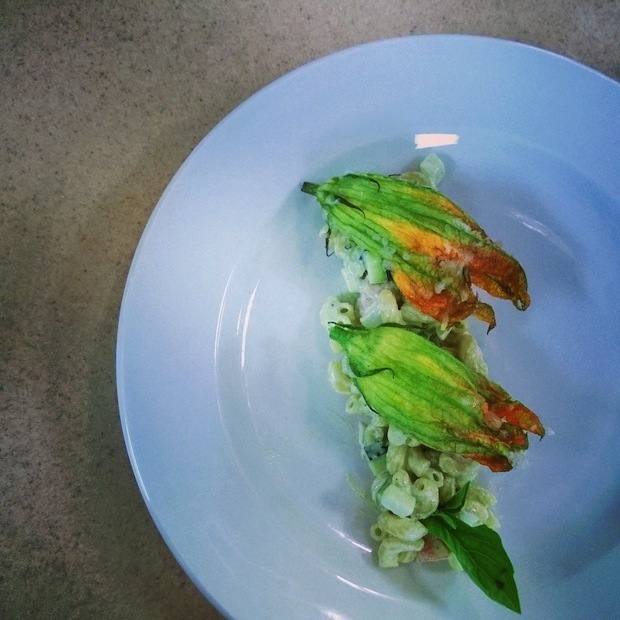 I wanted to learn as much as I could about cooking in the country known for some of the best food in the world. As a busy student with limited funds, we ate pasta just about every single day--popping into a tiny lunch spot for a daily €10 special that featured a bowl of pasta (the simple, but luscious, carbonara was my favorite!) with a glass of house wine and a small dessert. Pasta played such a huge role in the food I ate growing up, that I was really surprised to learn that it's actually not the case for other Latino families in the US. 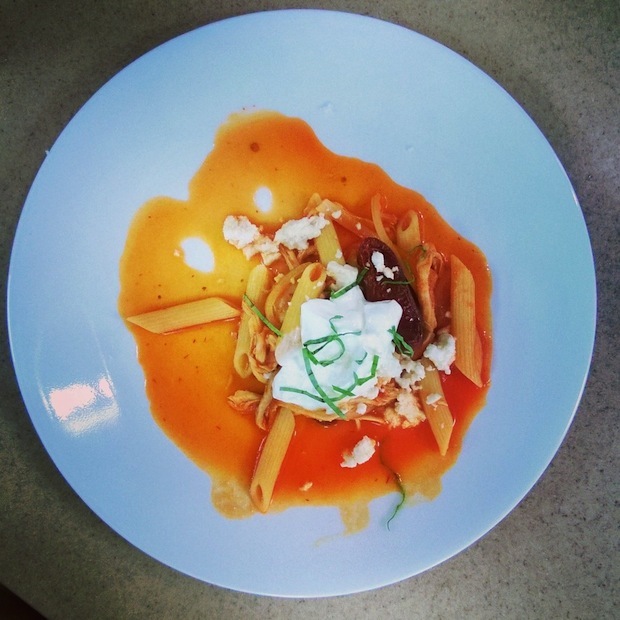 And that's why I'm excited for this opportunity to show how pasta can be an amazing vehicle for sharing our individual traditions in a new and creative way. 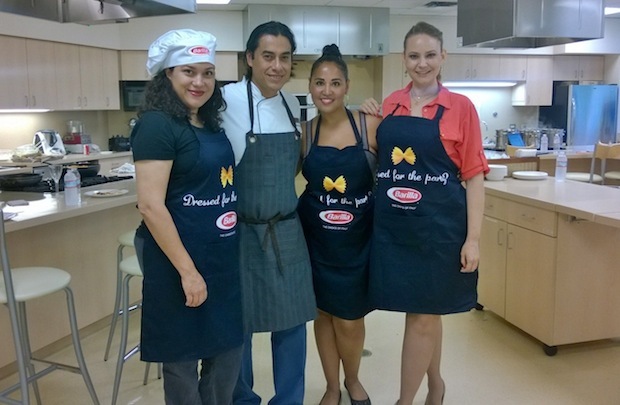 While in Chicago, my fellow blogger ladies and I spent most of our day at the Barilla test kitchen, learning pasta cooking techniques from Chef Lorenzo Boni, the Executive Chef of Barilla America, and Mexican Chef Carlos Gaytan (whom you might know from Top Chef!). You might already know that pasta tastes better when it is cooked al dente, an Italian phrase that means the pasta is not mushy and still has a bit of bite to it, but another benefit is that when cooked this way, the pasta has a lower GI that allows your body to better digest and use the healthy carbs without spiking your blood sugar. All Barilla pasta boxes come with suggested cook times for each individual shape. Chef Lorenzo recommended always taking the pasta out of the water 2-3 minutes before the recommended time, and then finishing it in a pan with the sauce--whether bottled or homemade. 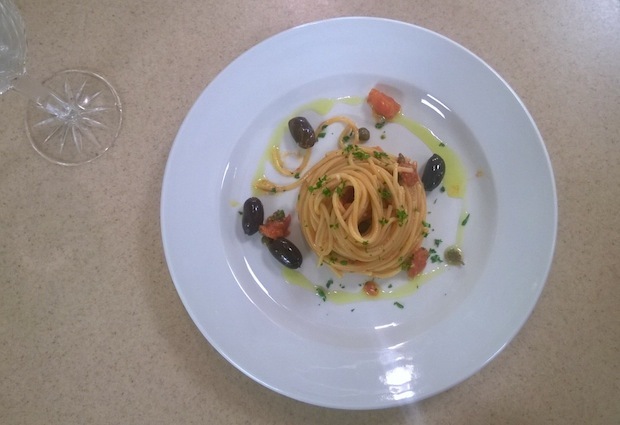 This way, the hot pasta combines evenly with the sauce, and you end up with a perfectly balanced dish. The number one mistake most people make at home when cooking pasta is not using enough water. We try to cram it all into a small pot, but this causes the pasta to stick and cook unevenly. To prevent this, pull out your biggest pot and fill it up with water. A good rule of thumb to remember is a minimum of 1 gallon (4 quarts) of water per 1 pound box of pasta. One of the most important (and easiest!) tips for the best tasting pasta dishes is to salt your cooking water generously. Adding 1-2 tablespoons of salt per gallon of water will season the pasta perfectly and evenly as it boils so that it already tastes amazing even before you add it to the sauce. My own favorite way to remember this is to taste the water before adding the pasta and checking to see if it's salty like the sea. If so, then you're good to go. If not, add more! Chef Lorenzo also recommends always using sea salt because the minerals add a little bit of extra flavor. Do you have a favorite tip for cooking perfect pasta? Or do you ever combine pasta with flavors you grew up with? Let me know in the comments below! And stay tuned for more tips and recipes featuring Barilla pasta over the coming months. This is a sponsored post on behalf of Barilla, however, my opinions are entirely my own and I have not been paid to publish positive sentiments towards Barilla or their products. Thanks for supporting companies like Barilla who make it possible for me to keep creating great original content and recipes for you!